Elenko is a shareholder and CEO of ACC Ltd. He studied Baltic Management Studies at the University of Applied Sciences in Stralsund (Germany), where he graduated with a Bachelor of Business Administration (BBA), later he completed his expertise with a Master (M.Sc.) in Accounting and Analysis at the University of Plovdiv. In 2011, Elenko became a Certified Public Accountant. 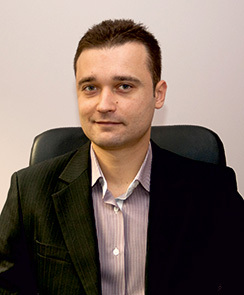 Starting as a financial controller at TMKA (Plovdiv), he gained profound expertise in finance and accounting from which he benefited as an early entrepreneur. Elenko acts as CEO and procurator in several companies. Georgi Nikolov, PhD, CPA, M.Sc. Georgi is a shareholder and CEO of ACC Ltd. He studied in Germany at the Otto-von-Guericke University in Magdeburg, where he graduated as class-best with a Master (M.Sc.) in Management, later he completed his expertise with a second M.Sc. in Accounting and Analysis at the University of Plovdiv. In 2011, Georgi became a Certified Public Accountant. 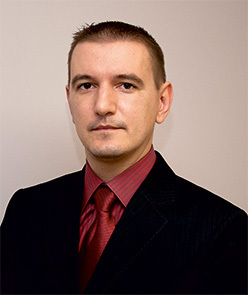 Starting his professional life as a junior auditor at Dimax M Ltd., later in 2007 Georgi went in for a career at Elektrorazpredelenie EVN Bulgaria AD as an Expert Financial and Business Analyses. From 2009 he held the position of the Head of "Cost Controlling" Team and in 2011 he served as a procurator of EVN Naturktaft EOOD. In addition to internal training courses at the EVN Academy in IFRS, budget planning and project management, Georgi acquired additional skills at the Controller Academy in Munich and the Executive Academy University of Economics Vienna.